2 December 2015, Marrickville Council has voted to reject the ‘Draft Parramatta Road Urban Transformation Strategy’, arguing that it fails to achieve genuine urban renewal, fails to address the affordable housing crisis, and will place significant pressure on already underfunded local infrastructure such as parks and schools. The Greens motions accepted by Marrickville Council mean Council has formally rejected UrbanGrowth’s Parramatta Rd redevelopment strategy, and will call on the State Government to work collaboratively with Local Councils for genuine revitalisation of Parramatta Rd. Greens Councillor Sylvie Ellsmore said, “The community is facing an onslaught of so-called ‘urban renewal’ plans from the Baird Liberal Government – all designed to deliver large profits for developers at the expense of local communities. “This latest strategy aims to massively increased heights by overriding local Council’s strategies & removing the opportunity for residents to have a say. In the Taverners Hill Precinct near Petersham for example, the existing 313 dwellings are earmarked to increase to 3,054 by 2050. Residential blocks up to 12 storeys will be located directly next to single storey dwellings,” she said. Marrickville Council voted to make a damning submission to Urban Growth outlining key problems with the draft Parramatta Rd strategy. Council’s submission highlights the lack of planning to ensure infrastructure like parks and schools will accompany any new development. The submission strongly criticises the suggestion that Parramatta Rd will become a walkable or cycle friendly road because of the planned WestConnex. Recent modelling shows WestConnex will actually redirect more traffic to Parramatta Rd, making it even more congested, because Parramatta Road will be one of the few remaining roads that won’t have a large toll imposed by the Liberal Government. Council’s submission is also damning about the failure of the State Government to genuinely address affordable housing. Greens Councillor Sylvie Ellsmore said, “Council’s submission points out that the simplistic strategy of approving more apartment towers – and letting the market sort out the prices – has failed to deliver affordable housing. “If anything this approach has helped drive the housing crisis in the inner west, and to concentrate more investment housing in the hands of the few. “Council’s submission will also highlight that successive Labor and Liberal Government’s have failed to give Council the power to insist on affordable housing as part of urban renewal projects (inclusionary zoning). If the State Government is serious about affordable housing it must give Council’s this power, and set targets of at least 30% affordable housing,” Clr Ellsmore said. 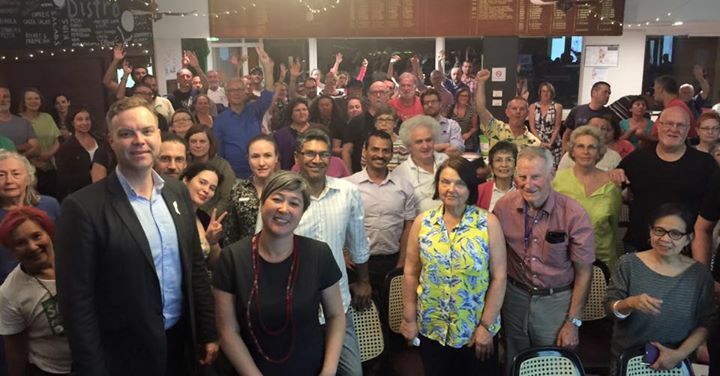 Marrickville Council agreed to formally endorse and attach an alternative Parramatta Rd growth plan developed by local residents and the Help Save Lewisham Group, to Council’s submission.